response from property - Feb 15, 2019 Thanks Ganesh! We appreciate the awesome review and are so glad you love our community. Please let us know if there is anything else we can do for you and we'd be happy to help! To expensive for what it's worth submitted by Deanna S. - Jun 03, 2018 |Recommended: YesIt's a nice area, the staff is very friendly , and the apartments are very spacious. But when my boyfriend and i moved in the apartment was not all the way complete it seemed. I just feel as though for the price of rent , it's not barely worth it for the appliances, and considering that there is not a washer dryer placed in your apartment . response from property - Jun 04, 2018 Thank you for your feedback, Deena, we appreciate the review. Are these things you'd like to discuss with us? We'd be happy to talk with you. Give our office a call and we can set up an appointment. Thanks again. response from property - Apr 24, 2018 Thank you Constance! We appreciate your feedback and for taking the time to rate us. Let us know if there is anything else we can do for you and we would be happy to help! response from property - Jul 03, 2017 Binu, thanks for the great review! We're glad to hear you've enjoyed stay here, and that we've helped make your experience a positive one. I think this is one of the best properties aroundsubmitted by Thomas G. - May 10, 2017 |Recommended: Yesthere is an outstanding front office and maintenance crew. the grounds are always very well maintained The corridors are cleaned daily. In bad weather conditions the maintenance crew goes above and beyond to make sure the tenants are safe. When ever there are problems in the residents maintenance always responds within the same day or at least by the next. When ever you need to call the front office they are always very responsive, polite, and are willing to jump right in to help resolve the issue. We have been residents at this complex since Feb 2014 and can not say enough about the complex. It has more than taken care of all of our needs, which makes this apartment feel like a home. response from property - May 12, 2017 Thank you Thomas! It means a lot to hear that our service is good and residents feel comfortable with our staff. Please let us know if we can do anything else for you! Great propertysubmitted by Tchangwe N. - Apr 28, 2017 |Recommended: Yesgreat place, peaceful and quiet. response from property - May 01, 2017 Thank you Tchangwe! We're happy to hear how much you like it at our community. Please let us know if there is anything else we can do for you. response from property - Dec 23, 2016 Thank you Nakeisha! We are so glad to hear how much you love it at Rosedale Gardens. And we're glad we've been so helpful to you and hope we can keep up the great customer service. Please let us know if there is anything else we can do for you! New Residentsubmitted by Zakiya J. 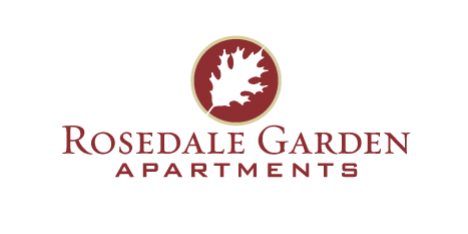 - Dec 19, 2016 |Recommended: YesI finally moved into Rosedale Gardens Apartments this weekend and loving it I like the area, the community is clean and quiet. I'm hoping my stay with be a good experience. I want to thank management for a smooth transition into my new home. response from property - Dec 20, 2016 Thank you Zakiya, we're so glad we were able to make your transition here easy! Thank you also for taking the time to rate our community and for the high rating you gave us. Please let us know if there is anything else we can do for you. Good Place to live submitted by Nicole J. - Sep 06, 2016 |Recommended: YesI moved in Jul 2016. Fell in very much like with the place, the residents seem nice enough along with the maintenance staff seem polite and professional. I like the area and the location of the apartments The leasing agent Lauren is the very best she seems to be very attentive to the needs of the residents. I do see that they are doing some repairs and weather upgrades. I would recommend these apartments. response from property - Sep 07, 2016 Thank you Nicole, we appreciate you taking the time to rate our community and all of the nice things you had to say about our staff! Please let us know if there is anything else we can do to make your stay here enjoyable. Good place to live.submitted by Amit A. - May 05, 2016 |Recommended: YesBest part is quick respond by the management in terms of maintenance and fixing other issues in the apartment. Staffs are friendly. Never faced a parking problem. response from property - May 06, 2016 Dear Amit, Thank you for the great review of Rosedale Gardens. We appreciate you taking the time to rate our community and for the nice things you had to say about our staff. Please let us know if there is anything else we can do! Loving my new Place submitted by DeVita D. - May 03, 2016 |Recommended: YesI'm a new resident and I can say this place owns up to five stars, Maintenance is swift, The Leasing Agent Lauren was Awesome. I Love my new place very comfortable. The best choice I made. response from property - May 04, 2016 Dear DeVita, Thank you for the wonderful review of Rosedale Gardens! We appreciate you taking the time to rate our community and giving us a 5-star rating! We look forward to having you as a resident for many years to come. If there is anything else we can do, please feel free to call or stop by our office. Great enviorment submitted by Leroy S. - Oct 04, 2015 |Recommended: YesOverall my experience here has been a good one maintenance is always on point with their repairs. Only knock is one of the neighbors and their food smell coming seeping thru the hallway. Maybe we can get a fitness center here soon. Great experience submitted by Leroy S. - Aug 19, 2015 |Recommended: YesBeen living here since may 2014 and i have no complaints the maintenance staff is awesome and the parking great too. It is a very nice place to live and very spacious apartments. Only downfall is not having your own personal washer dryer. submitted by Marianne R. - Jun 26, 2015 |Recommended: YesThe environment is very friendly and quiet. The prices are affordable.